Humans have long been under CCTV surveillance, but now chickens and pigs are being watched too – by big farmer technology! Researchers have set up cameras, sensors and microphones at some 20 experimental smart farms all over Europe – to track animal movements. Julián López Gómez from a farm in Kessel, in The Netherlands. 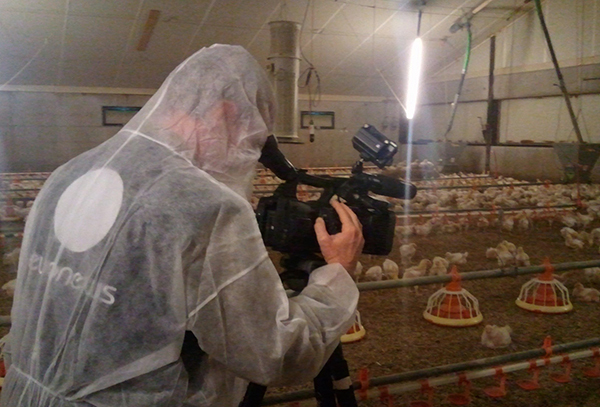 Around 20-thousand chickens are under close surveillance on the farm in Kessel, their every move tracked by cameras and microphones. “Cameras and microphones help me detect in real time when the animals are stressed for whatever reason,” explained farmer Twan Colberts. Fast, chaotic animal movements could indicate temperature, feeding or drinking problems for instance. “If a feeding line would block, like this feeding line going along here on this picture, then you would see all the birds moving from that feeding line and going to another,” said Luc Rooijakkers, Project Manager, Fancom, as he showed us some images. Some of the platform algorithms and computer tools were partially developed at the University of Leuven, in cooperation with another 20 partners. Researchers say they can identify real problems in 95 out of every 100 alarms raised. “The distribution of animals varies depending on factors like climate, temperature, quality of the soil etcetera,” explained Alberto Pena Fernandez, a bioscientist and research assistant at the University of Leuven. “We have data about what, in a given farm, should be the average levels for all those factors which – when combined – affect animal behaviour. 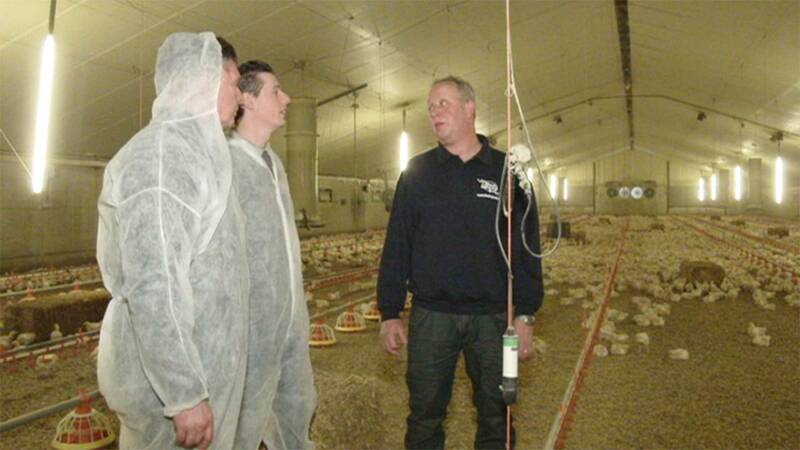 In Meijel in The Netherlands, pigs are being monitored for coughing – a possible sign of a highly infectious respiratory disease. Algorithms isolate the sounds in the barn. “My average visit time to a shed like this is around 10 minutes, spending up to two or three seconds checking each animal,” explained farmer John Verhoijsen. Other cameras tested at the farm give data about the weight of animals before and after being fed. Information researchers hope will eventually help farmers to increase the safety and traceability of products. “One of the big next steps is to bring internet to all farms in Europe. We are still far away from that,” commented Daniel Berckmans, a bioscience engineer and professor at the University of Leuven and EU-PLF project coordinator. Around 20 experimental farms have been kitted out with these systems and six smart precision livestock products have so far been developed.